Sebring, FL - Fall-Line Motorsports arrived at Sebring Raceway yesterday morning for testing in their pair of BMW M3s with a new addition to the lineup for this historical event. Joining the defending GS Champion Trent Hindman and his co-driver Ashley Freiberg will be team owner Mark Boden and longtime friend to Fall-Line, Tonis Kasemets. 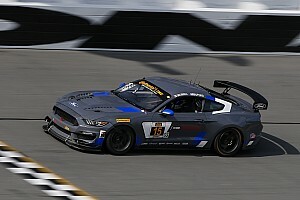 The quartet of drivers are preparing for the 2.5-hour Microsoft Visual Studio 150 at Sebring International Raceway for Round 2 of the 2015 IMSA Continental Tire SportsCar Challenge (CTSC) series. 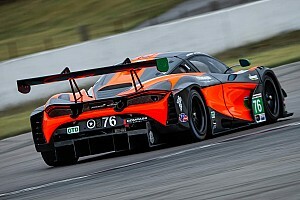 Driving the #46 will be Hindman (who at the time of this release is in Europe with prior commitments but will arrive on Thursday) and Freiberg who finished 4th at the season-opener in Daytona. Last year Hindman started on pole and led the opening laps and finished second. Freiberg and her co-driver Shelby Blackstock started 6th but had an upright failure caused by the notoriously rough and tough 3.74-mile circuit. Filling in for Hindman for the two test days is his co-driver from 2014 John Edwards. Ashley Freiberg: "First off, it feels amazing to be back behind the wheel of the IHG Rewards Club/ Trim-Tex BMW M3. I think everyone in the field has their work cut out for them as the track has been super hot and greasy, so consistency and managing tire degradation will be key. The Fall-Line Motorsports Crew has been working hard these past few days, and I am looking forward to seeing what this week will bring us." 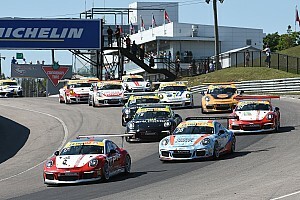 Team owner Mark Boden is returning to the cockpit after running only one CTSC race in 2014 at his home track of Road America. He returns for Sebring with longtime open-wheel and sportscar racer Tonis Kasemets, who resides near the Fall-Line shop in the Chicagoland area. Kasemets last ran with Fall-Line in 2011 and then moved to another team for 2012 and 2013, running full seasons both years. 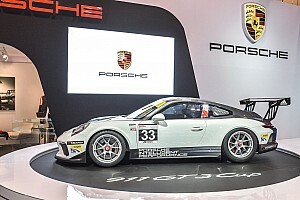 Kasemets has a rich history in motorsports, starting at a very young age in his native Estonia and by his own accord "has driven almost everything there is to drive in open-wheel road racing and sportscars." Boden and Kasemets are a good fit driving together and both are very familiar with the BMW M3 E92 chassis that has had so much success in CTSC racing. In addition to the new driver lineup, Fall-Line Motorsports is excited to announce a new partner. TOP 1 Oil has come onboard for the remainder of the year as a team partner. TOP 1 has a long history as a family-owned business spanning three generations and has become the preferred lubricant for its millions of loyal consumers in Latin America, Europe, and Asia. Mark Boden: "I'm very excited to be back in the car. 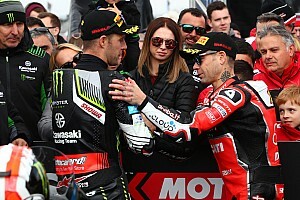 Tonis is a great teammate and I'm looking forward to racing with him. A big thanks to the whole team for putting together a great car for what is surely going to be a great weekend. Also a big thanks to BMW, Calypso Lemonade, and Rytec doors for making this possible." Tonis Kasemets: "Sebring is one of my favorite tracks and one of my favorite events. It has so much history. I expect that the race will be a tough one and we are going to have to fight for results. But, the team is prepared and I expect us to be contenders. The team works flawlessly together and they know what it takes to win. I am happy to be back with them and in the car with Mark (Boden)." Michael Harvey, Team Manager: "It is great to be back at the track again after a break. Sebring is a unique venue and one in which we enjoy bringing the Fall-line Motorsports BMW to. We had strong cars last year and after a solid start to the season we are focused on eliminating mistakes and collecting points. We have been working tirelessly over the last few months both on the technical side and the commercial side and are delighted to welcome new partners TOP 1 Oil and Calypso Lemonade to our stable for the remainder of the year. 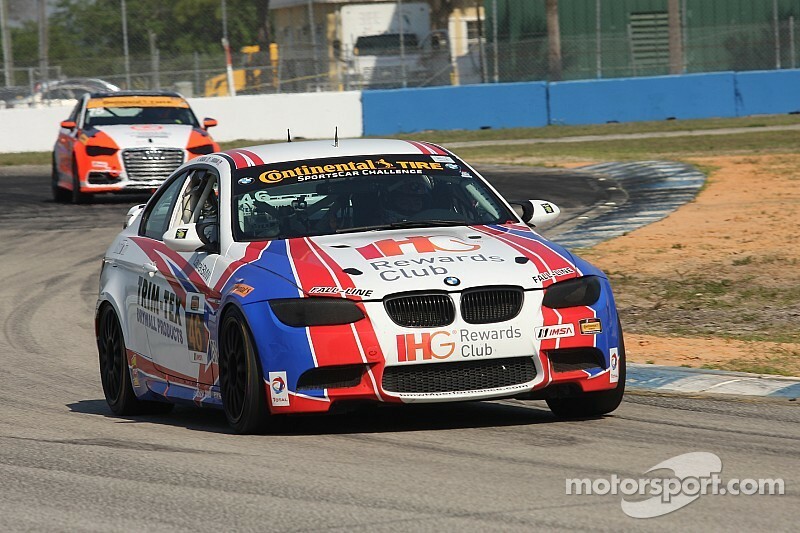 We are very proud as we enter Round 2 to represent IHG Rewards Club, Trim-Tex Drywall Products and BMW and I am very thankful to BMW for allowing us to "borrow" John Edwards for a few days."